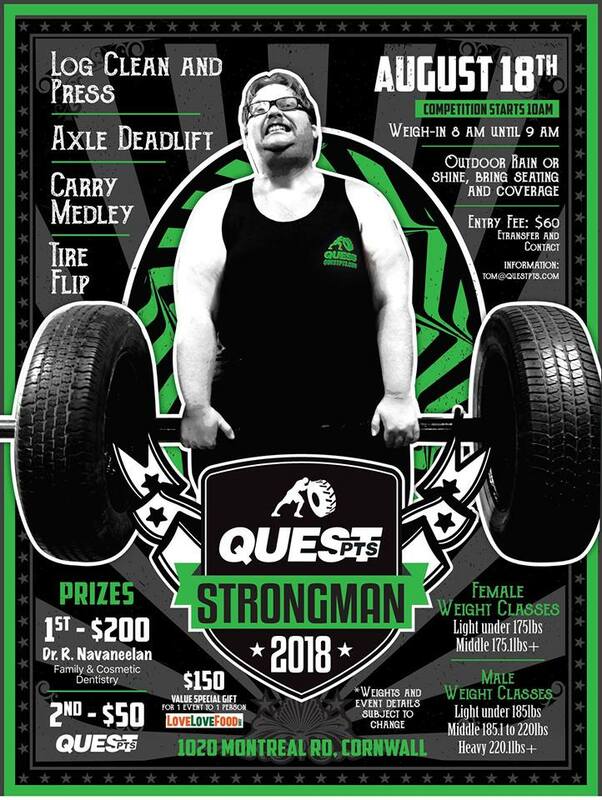 QuestPTS Strength Training & Massage Therapy will be hosting a Strongman/Strongwoman outdoor competition on August 18th from 10am-5pm. Weigh in will begin at 8am until 9am. Rain or shine — bring your own chairs and coverage (in case of rain). A Special gift to 1 person from Love Love Food worth $150 in value. For more information on the events and weight classes, click here.